Here is a new video that has been floating around the internet that features a UFO flying very close to the wing of an airplane. My first take on the video was that it looked like CGI. However, its possible this is for real. The UFO was supposedly seen by several witnesses. If this is true we will need the witnesses to step forward. The image seems to have some kind of reflection from the plane window, the nature of this reflection needs to be analyzed. Based on the reflection I would gather the image is either very real, or a well planned hoax. Another interesting observation is of the UFO itself. 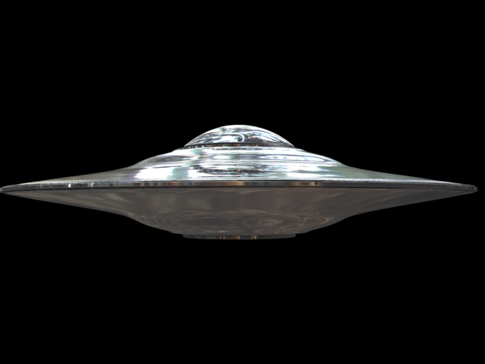 The UFO in this case actually resembles some of the UFO of the past that one might see in the 1950s or 1960s. This give some credible evidence to the video and Ufology in general. Most modern day animators will create sleek, aerodynamic craft. This one, however, is anything but "modern" looking. I would still argue fake until we see more evidence, but certainly out of this world! In other news, presented to us by one of our best online sources, a persistent Jovian Mass can be detected in the Ort Cloud. The Ort cloud is a large spherical cloud of commets and other icy objects that surrounds our solar system. The Ort cloud lies just beyond the Kuiper Belt which is the realm of Pluto and other dwarf planets. Sceintific research is finding that there is indeed an object near the size of Jupiter orbiting around out there! In a recent scientific Publication John Matese and Daniel Whitmire describe this object in: Persistent Evidence of a Jovian Mass Solar Companion in the Oort Cloud. 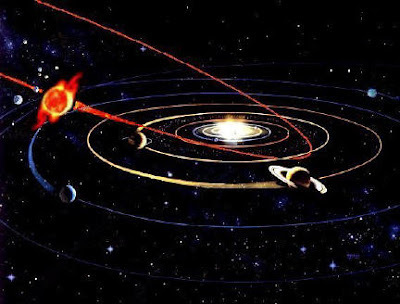 In the relative light of all this science, I hate to even mention it, but Planet X? Nibiru?